How did this skeleton become black? Did he stand next to the microwave oven for too long? Did he try to build his own jetpack out of dynamite and glue? Or did he just pass out too close to the campfire one night? We’re not making fun of you, skeleton man. It’s just some good-natured ribbing. Pretty humerus, right? What’s the matter, don’t have a funny bone? Well, we hope you’re not sick of our puns. We have a skeleTON more. 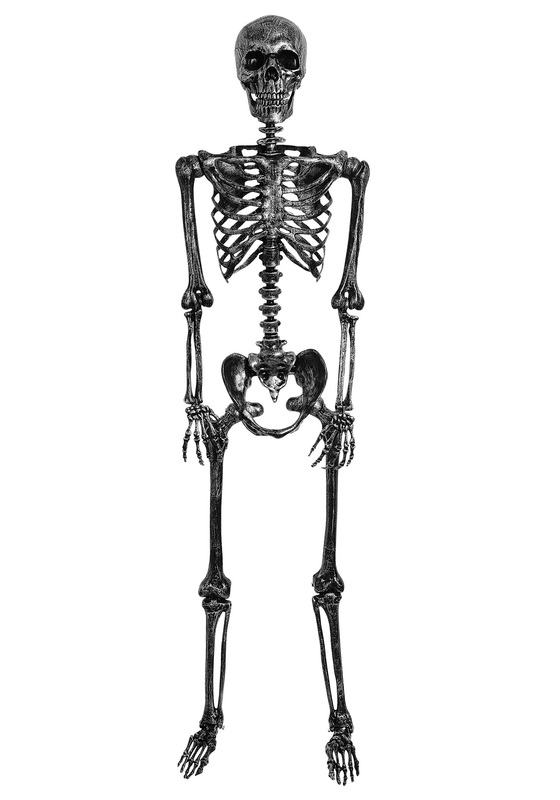 Our Lifesize Black Skeleton stands five feet tall and makes a tasteful decoration for all occasions. There isn’t a bone out of place in this realistic replica, from toe to tibia. Great for pranks too, it scares the bejeezus out of people if they don’t expect it -- and they seldom expect something like this!